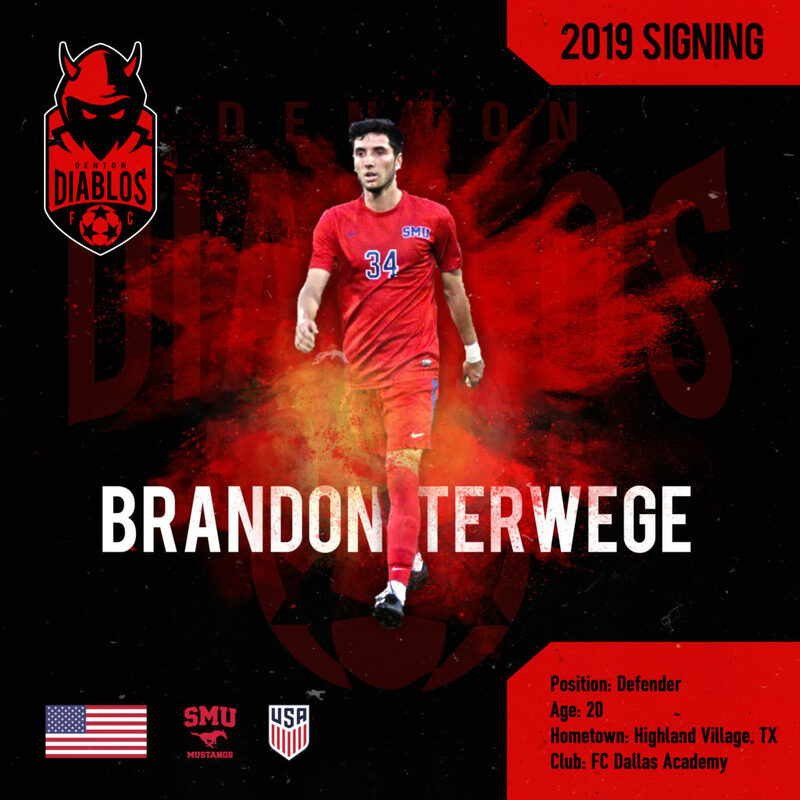 DENTON, TX – With the first signing in club history, the Denton Diablos are both honored and excited to announce Brandon Terwege, from Highland Village, Texas, a current member of the SMU Mens Soccer Program will represent the Diablos in their 2019 NPSL campaign. 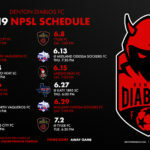 Diablos co-owner and managing partner Damon Gochneaur: “I started the Diablos to provide an opportunity, which I was not afforded, to young men from my backyard, so for our first player signing to be a local product, from the same town I was raised and fell in love with the game in, is really special and makes this whole endeavor even more meaningful. U.S. National Team — Attended the U.S. U-20 Men’s National Team camp in London, England … Member of the U.S. U-19 National Team … recorded two assists in a 2-1 win against El Salvador as a center back for U-19 team. High School/Club — Ranked as a three-star recruit by Top Drawer Soccer … ranked No. 6 in the O When the Yanks Top 100 … ranked No. 45 in the Top Drawer Soccer IMG 150 … ranked No. 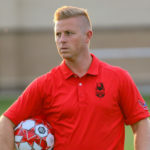 91 in the College Soccer News Top 150 … ranked as 13th best defender by Top Drawer Soccer … played for FC Dallas Academy accumulating over 37 caps … 2017 Dallas Cup Super Group Champion … 2015-16 U-18 USDDA National champion and started in Finals against Vancouver … 2014-15 U-16 USDDA National Champion.